Running is a great way to stay healthy and get in shape, but it can also be disastrous for your lower back. The spinal discs in your back serve as natural shock absorbers that prevent injury or pain during daily activity. 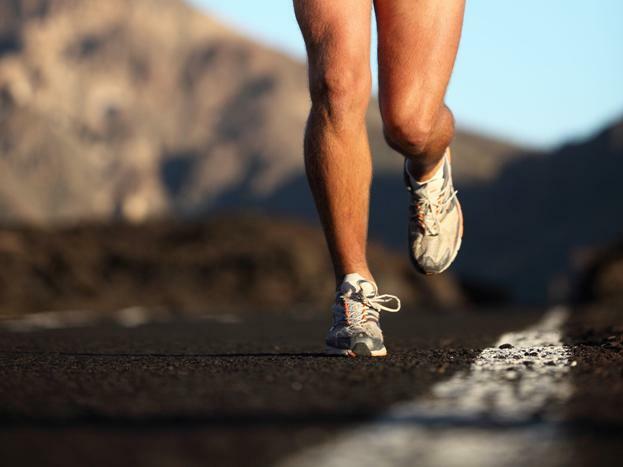 When you run, the repetitive impact placed on your spine can cause these discs to break down over time, often leading to severe pain or serious injury. If you suffer from chronic low back pain during or after each of your runs, here are six simple treatment tips you can do to stay on your feet and out of the operating room. It may not be the most favorable treatment option for those who love running, but sometimes all your back needs to stay healthy is a break. Taking a few days to a week off from running will allow your back to naturally heal itself, as no additional stress will be placed on your spine. If you wish to stay active during this resting period, look for low-impact alternatives that won’t worsen your symptoms, such as swimming, walking, or cycling. In fact, it is recommended to avoid over-resting injuries as movement helps keep muscles strong,so lying down too long can make the problem worse. Aside from resting, ice therapy is often the most prescribed solution to back pain, especially after running. This is because most running injuries that form in the back result from inflammation in the muscles that support the spine. Through the application of ice, blood flow is restricted to the affected region, in turn reducing inflammation, relieving pain, and hastening the healing process. Apply a cloth-wrapped ice pack to your sore back for 10 to 20 minute intervals, taking short breaks between to avoid ice burn. Another leading factor of running-related back pain is muscle strains and overexertion, which create tension around the muscles and soft tissues around the lower spine. This restricts blood from reaching the injured area, in turnleading to severe pain. When this injury occurs, you should avoid icing, as it will only worsen your condition, and instead use a heating pad to increase healthy blood flow to soothe the pain away. Apply the heating pad for 30-minute intervals and repeat until the pain subsides. Stretching before a run is vital to preventing injury, but it can also be a great way to alleviate back pain after it has already occurred. Performing back-stretching exercises can bring suppleness back to tight, sore muscles, as well as increase your mobility – two key factors in reducing back pain and discomfort. There are a number of great stretches you can perform depending on the severity and localization of your injury, including back-flexion exercises, knee to chest stretches, hip stretches, and piriformis muscle stretches. Just be careful while performing these stretches as to not further aggravate your symptoms. Sometimes you need a little extra kick to beat your back pain. Rather than use prescription painkillers, which have been shown to worsen the pain in some cases, use over-the-counter pain medications to relieve your pain. Anti-inflammatory drugs like ibuprofen or naproxen are your best bet – just be sure to limit how much, and how long, you take them. Keep in mind that medication does not heal your back, it just helps curb the pain, and you should always seek additional treatment if your symptoms do not decrease over time. If the aforementioned home remedies don’t do the trick, you may consider professional treatment such as chiropractic care. Spinal manipulation performed by a trained chiropractor is a safe and effective alternative for people looking to avoid invasive back surgery or prescription pain medication. Although less common than other running-related injuries, the constant repetitive impact caused by running can lead to bulging or herniated discs in the spine. When this occurs, excessive pressure is placed on the spinal nerves, also known as pinching, which leads to the severe, chronic pain many runners have come to live with. Correcting subluxations through targeted spinal adjustments relieves this stress placed on the spinal discs and can help realign your musculoskeletal structure. As a result, the body cannaturally heal itself and further reduce pain. After a manipulation session, ask your chiropractor when it is safe to begin running again, and be sure to continue utilizing the tips listed above. Running is hard enough, so you shouldn’t have to suffer through back pain as well. The key to maintaining a healthy back – no matter what exercises you perform – is to listen to your body. If any small aches or pains begin to develop, look for ways to prevent them from turning into serious injury. Sometimes you can just run through the pain, but if it doesn’t subside after a few days, it’s time for treatment. Dr. Marc Browner is a Co-owner and practicing chiropractor at Windmill Health Center in Weston, Florida. A graduate of the University of Florida in 1991, he earned his Doctor of Chiropractic degree from Life Chiropractic in 1995. In private practice since 1998, Dr. Browner is a member of the Florida Chiropractic Society, the Florida Chiropractic Association, and he attends continuing education seminars, classes, and workshops to remain abreast of the most current treatment methods and technological advances in the field. I read this article and found it very interesting, thought it might be something for you. 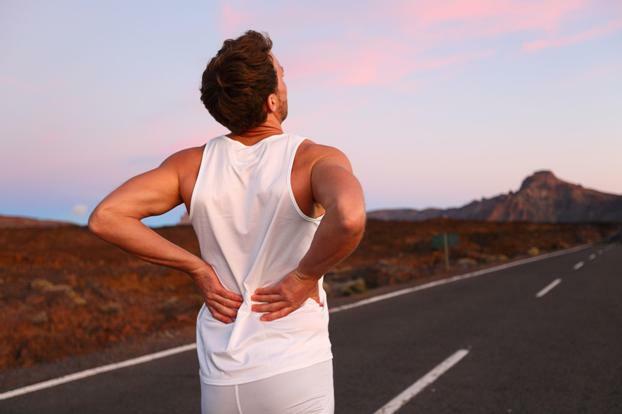 The article is called Running with Low Back-Pain: 6 Safe and Effective Treatments and is located at http://www.windmillhealthcenter.com/6-safe-effective-treatments-for-back-pain/.